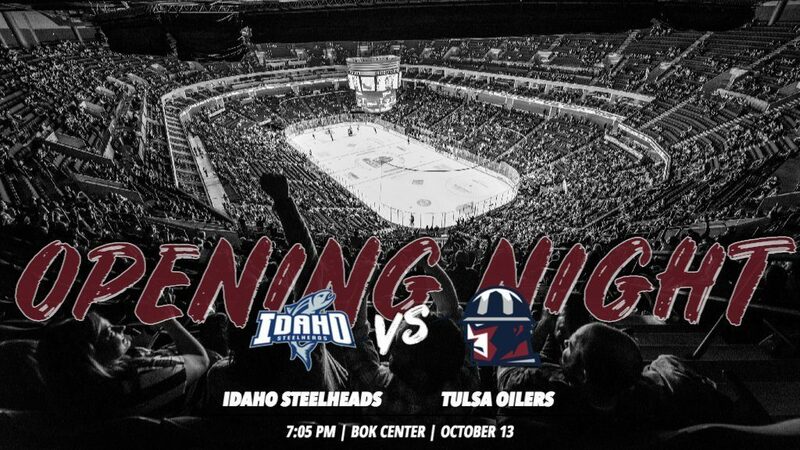 Tulsa opens the 2018-19 regular season Saturday at the BOK Center against the Idaho Steelheads. TULSA, OK – The Tulsa Oilers, proud ECHL affiliate of the National Hockey League’s St. Louis Blues, announced its season-opening roster Thursday ahead of Saturday’s 7:05pm showdown against the Idaho Steelheads to start the 2018-19 season at the BOK Center. The Oilers’ opening-day roster is highlighted by 36-year-old veteran Peter Sivak, who enters his 19th professional season averaging over a point-per-game throughout his ECHL career. Tulsa’s breakout star in 2017-18, Charlie Sampair, starts the season in Tulsa after earning an American Hockey League contract with San Antonio in the off-season. Taking over as the number one goalie is second-year pro, Devin Williams, who had a stellar rookie season in which he won 15 games and earned ECHL Goaltender of the Month honors for the month of October 2017. Tulsa starts the season with eight straight home games at the BOK Center before hitting the road for the first time in early November. The Oilers are led by second-year Captain Adam Pleskach, who enters his sixth season in Tulsa and can continue to climb up the franchise’s all-time leaderboard in goals (4th), points (8th) and games played (6th). Also bringing veteran leadership to the table is returning defenseman Steven Kaunisto and free-agent acquisition Chris Francis, who each enter their ninth pro season.